Denver Limousine and it will be $150 minimum penalty for all clean up, repair, missing or replacement caused by you or your guest. Passengers need to have cell phones ON upon arrival, Denver Limousine is not responsible if the passenger is unreachable after arrival. Airport arrivals have 45 minutes wait time to pick up luggage. Should luggage be lost, another delay occur etc. please call Customer Service at 303-791-9677 or 1-877-791-9677 immediately. Should any passenger need more than 45 minutes to pick up luggage, please account for that at the time of booking your reservation to avoid any additional charges. Denver Limousine is not responsible for delays resulting in a no show. After 45 minutes wait time, if contact has not been made, reservation will be considered a no show. For missed flights or delays, please call Customer Service at 303-791-9677 or 1-877-791-9677 immediately to reschedule accordingly. Should a delay occur in-flight or after take-off, we do check the arrival times and accommodate you accordingly to the best of our ability. Should we be notified in an unreasonable amount of time prior to the reservation ( such as the time of scheduled pick-up), it will be consider a no show. Please be certain all flight, contact, and reservation information provided to us is accurate; we are not responsible if the arrival/departure information provide to us is incorrect or not provide to us at all. If their is any change to your reservation information, it is your responsibility to notify us. Any changes MUST be made through Customer Service. Drivers are NOT AUTHORIZED to make any changes to client's reservations under any circumstances, nor apply or discount charges, or accept any payment other than additional gratuity. Airport arrivals have 45 minutes free wait time for all Domestic or International flights from the official posted arrival time. Any additional wait time will be charged in 15 minutes increments based on the hourly rate for that particular vehicle. For all other reservations, 10 minutes of free wait time is given. Any additional wait time will be charged in 15 minutes increments based on the hourly rate for that particular vehicle. All stops must be pre arranged through Customer Service and will incur additional fees. Last minute stops are still required to be arranged through Customer Service. (Please view policies regarding Information Changes) Charges for stops vary depending on the length and location of the stop. Stops not in route of the originally scheduled transfer require higher fees. This includes picking up additional passengers at other locations. Please speak to a Customer Service representative to pre-arrange any stops you may be aware of prior to pick up, for a discounted rate of these charges. You may also want to consider our hourly transfer rates should you have multiple stops, as they may be better suited to your personal needs. Denver Limousine is not responsible for delays or the termination in winter caused by unsafe road conditions. Additional fees may apply for weather conditions resulting in hazardous or difficult driving conditions, particularly for mountain area and resort trips. All cancellations must be made between the hours of 6:00 am and 11:00 pm MST. 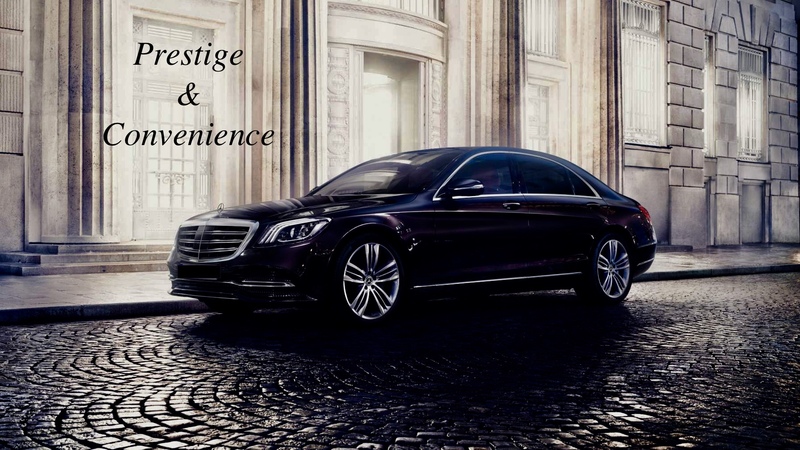 So that we may continue to offer our competitive rates and high quality of service, we ask our clients to understand that no shows and last minute cancellations not only cost the company and our drivers time and money, but our clients as well. Please note our specific policies for your type of reservation. Cancellations for local airport transfers must be made a minimum of 5 hours prior to the reservation. Cancellation for stretch limousine must be made a minimum of 5 days prior to the reservation. Cancellations for charters, out of town reservations, mountain area transportation, and resort trips must be made a minimum of 24 hours prior to the reservation. For cancellations made after the allotted time frame, the base rate and chauffeurs anticipated gratuity will be non-refundable. Cancellations within the allotted time frames are entitled to a full refund of the base rate. Cancellation and processing fee of 20% of the base rate will be non-refundable. Due to round trip discounts, after initial run is complete on round trip reservations, the return trip charges will be non-refundable. Holidays are excluded, all charges and fees including drivers anticipated gratuity are non-refundable for cancellations regarding reservations falling on holidays. Balances are to be paid to Customer Service before the beginning of the run. Drivers are NOT AUTHORIZED to make any changes to client's reservations under any circumstances, nor apply or discount charges, or accept any payment other than additional gratuity. The standard industry rate of 20% additional charge for gratuity and processing fees, supplies to all additional charges. All initial charges, fees and discounts are estimated based on standard rates and fees. Additional tolls, parking, stops and other fees may apply. Actual total amount due will be calculated upon completion of the trip. Company is not liable in the event of mechanical breakdown while on charter and will only be responsible for making up lost time at a mutually agreed date. The client assumes full financial liability for any damage to the vehicle caused during the duration of the rental by them or any members of their party. We are not responsible for articles left in the vehicle. Under age consumption of alcohol is prohibited. Possession or use of drugs in any of the vehicles is prohibited. Vehicles cannot be loaded beyond seating capacity. Not responsible if client reserves vehicle type that cannot accommodate all passengers or luggage. Once reserved vehicle is dispatched for pick up, charges and fees are non-refundable in regards to passenger error in vehicle capacity. Not responsible if client did not view full policy description. All policies still apply.